Hoiman Gems & Jewelry Co. - We are the specialists of Natural & Stabilized Turquoise, Lapis-Lazuli & Azurite. We are the specialists of Natural & Stabilized Turquoise, Lapis-Lazuli & Azurite. We are the manufactuer and exporter of natural & stabilized turquoise, lapis-lazuli and azurite. We were estabilized in Hong Kong in 1978. 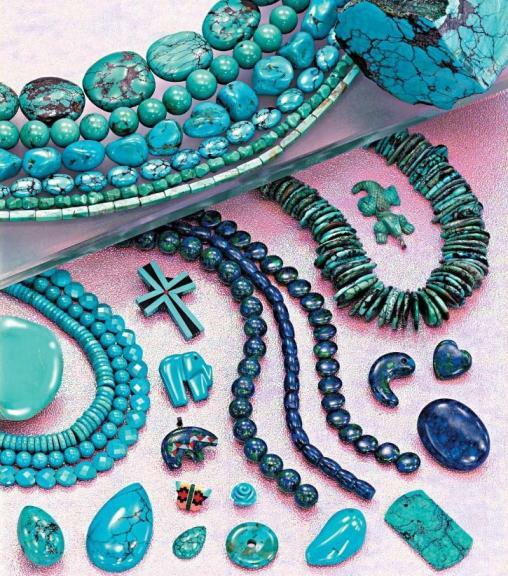 With more than 30 years of experience in manufacturing natural & stabilized turquoise and other gemstones, we provide a wide range of high-quality gem products including necklaces, pendants and tailor-made products. From Material selection to crafting and polishing to drilling, all products are produced by a group of highly skilled workers at our factory in Shenzhen, China. Copyright 2019 Hoiman Gems & Jewelry Co.